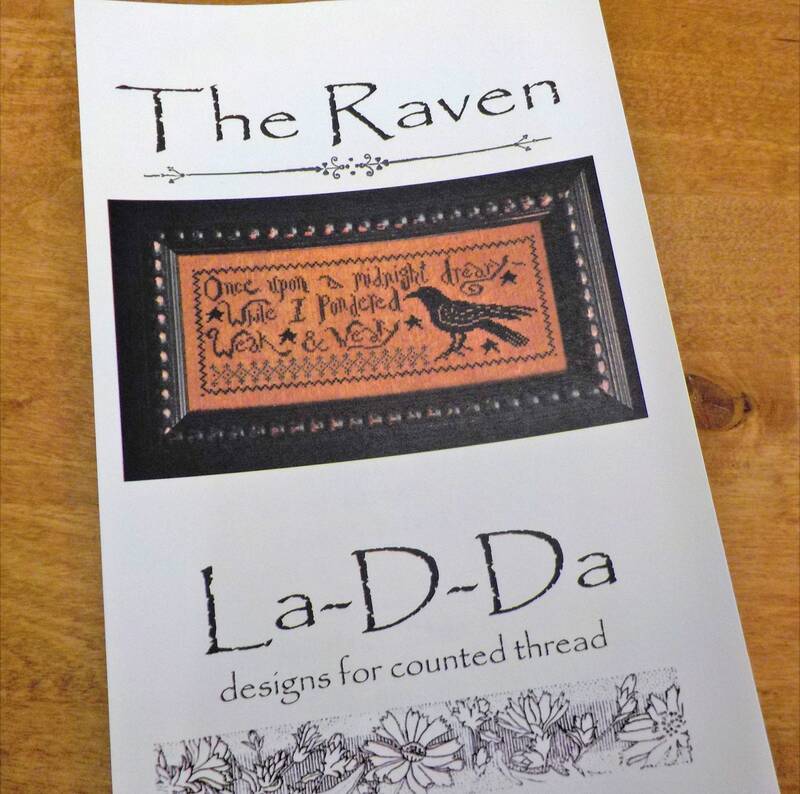 The Raven by La-D-Da...cross stitch pattern. Bring a bit of Poe into your life with this delightful cross stitch design. The Raven features the first line from Poe's poem..."Once upon a midnight dreary--while i pondered weak & weary". Stitch it up and display it with your autumn/halloween decor or put it in your favorite spot. The Raven is stitched on 35 count "Havana" linen by Weeks Dye Works. This listing is for The Raven cross stitch pattern.